#WishIknew – What’s an intrisically safe radio? Wish I knew what an intrinsically safe radio is! Vendors design intrinsically safe devices for hazardous areas. We had a similar discussion here before where I explained an intrinsic safety solution. Intrinsic safety (IS) limits the energy in certain devices to avoid ignition. So this protection allows these devices to work in hazardous areas safely. IS devices have circuits that reduce the risk of sparks or thermal effects. To make sure that these circuits operate properly, vendors test them in explosive atmospheres of subgroup IIA, IIB, and IIC. These groups cover most normal operations and fault conditions. 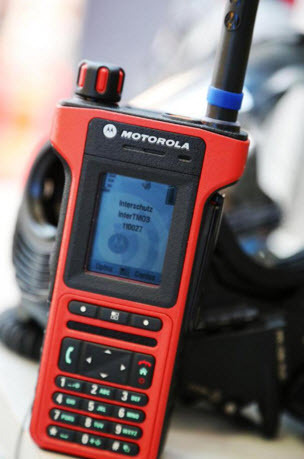 If you need an IS radio, then it should have its approval for hazardous areas clearly stated. Don’t worry, you can find a bunch of IS radios on the market that make this statement. This video will tell you more about IS. And on the right, you can check out some IS radios on our device page. #WishIknew What are intrinsically safe tools? When you work in hazardous areas, you need to follow specific procedures to install devices or even bring devices to the field.Here is the article for intrinsically safe tools are! You may have heard of these things but don’t actually know much about them. So what’s a tailings dam?